So, you've decided to go on a no corn diet. Perhaps you found out you're allergic, or perhaps you have general health concerns related to corn. Either way, you're facing a daunting task, since corn is a staple ingredient in many non-obvious foods. Why Is Corn So Common? Corn, or maize, has been cultivated in America since pre-Columbus days, and it has spread all over the world to become the single most grown crop on the planet. One reason for its popularity is that it is a hardy plant that thrives in many climates where less tough crops wouldn't survive. 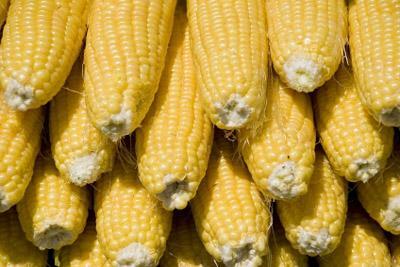 Recent advancements in gene-modified corn have made certain breeds even more sturdy and capable of producing ever-higher yields. Another, more cynical but not irrelevant explanation lies in politics and the power of the food lobby in the United States and elsewhere. Corn is heavily subsidized and is thus actively encouraged to be grown by farmers; all that corn has to go someplace, and since it's subsidized, it's cheap. Enter high-fructose corn syrup, ethanol, corn-fed beef and a gazillion other uses for cheap corn. Multiply decades of this subsidization policy with the natural evolution of the food industry, and you've arrived in today's situation where a staggering percentage of the stuff you find on the grocery shelves have at least some corn-based component in it. Not really, unless you have an allergy. But some corn-based products are decidedly less than ideal from a nutritional standpoint. The aforementioned high-fructose corn syrup is a staple of the soda industry, believed by many experts to be a contributor to the rise in obesity and type 2 diabetes in the United States and elsewhere. In fairness, high-fructose corn syrup has not been proven to be inherently worse than say cane sugar; manufacturers just love it because it's so cheap and adds a lot of flavor, and people simply consume more of the stuff. Other corn-based products, like traditional Mexican tortillas, Italian polenta or plain old popcorn, are perfectly fine components of a healthy diet. As always, the devil is in the details, and the plain popcorn becomes another deal entirely when smothered in salt and melted butter, or the corn flakes getting caked in a thick sugar crust. But since you want to go on a strict no corn diet, let's talk about what foods to avoid. The obvious stuff has "corn" right in the name, and many other sources are immediately spotted once you skim the list of ingredients. Any kind of "vegetable mix" almost certainly contains corn, since it's one of those dirt-cheap fillers manufacturers love. That cheap-filler status applies way beyond veggie dishes and frozen Wok-ready bags. "Corn starch" in particular has a fantastic ability to sneak its way in somewhere in the middle of the ingredient list where you'd least expect it. Note that it's not an absolute list. For example, Malt syrup CAN be made from barley or rice, but corn is much cheaper; thus, unless stated otherwise, it's a good chance the manufacturer saved a few cents and went with the cheaper corn alternative. This applies to most entries above -- check individual manufacturers if you want to be certain.